A1 Drive Shaft VIC P/L is a well established company with an enviable reputation for providing high quality, reconditioned drive shafts for vehicles of all makes and models. We are committed to maintain the highest quality of work, and provide professional and speedy services to our clients and customers across Victoria. 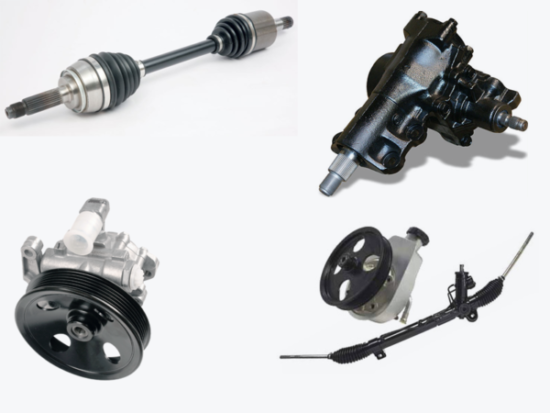 Since our inception in 1990s, we have been providing reconditioned drive shafts, tail shafts, power steering racks & pumps, CV boots, CV joints and other related components for a wide range of vehicles. We expanded our inventories and began supplying tail shafts and power steering systems for exotic cars of all makes and models since 2000s. We will go out of the way and help our customers to source the most important parts for their vehicle. All our reconditioned drive shafts and other products that we supply to our customers are known for their stringent quality. We always strive to ensure that our customers receive the best product at the lowest possible prices.